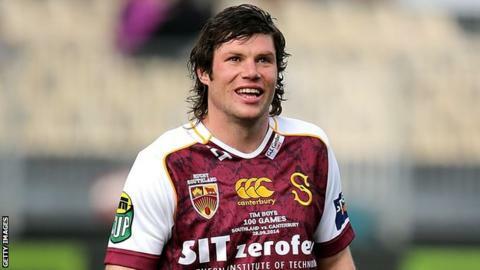 Ulster have added to their back row strength by signing New Zealander Tim Boys on a short-term contract. Boys, 30, played 46 Super Rugby matches for the Dunedin-based Highlanders club between 2006 and 2013. The flanker represented New Zealand at Under-19 level and recently made his 100th appearance for his provincial side, Southland. "It has always been an ambition of mine to play in the Northern Hemisphere," said Boys. "Ulster are a top Irish province with great facilities and a passionate fan base. "I am looking forward to joining up with the rest of the Ulster players as soon as possible and working hard to help the team get a play-off place." Boys, who will join up with the Ulster squad on 2 February, was top of the tackling charts in last year's ITM Cup with 158 tackles in 11 matches.